Lucille “Mitzi” Butcher passed away in Seattle on November 26, a few months after celebrating her 100th birthday. She was born in Butte, Montana, in 1918. Her parents, Peter and Veronica Mars, had immigrated from Poland about a decade earlier. She grew up with her four brothers and two sisters in Fromberg, Montana, a tiny town near the Wyoming border. Her father owned and operated a one-man coal mining operation. As a teenager, she spent several summers working in Yellowstone Park. After high school, she went on to college and earned a teaching certificate from what is now Montana State University in Billings. She had her first teaching job in a one-room schoolhouse near there. It’s an old joke that people back then had to walk uphill through snowdrifts with wolves and coyotes stalking them, but she actually did it while she was teaching, since she had no car, and the schoolhouse was in a very remote area. She recalled having to light the woodstove and chip frozen water out of the bucket every morning before the students arrived. 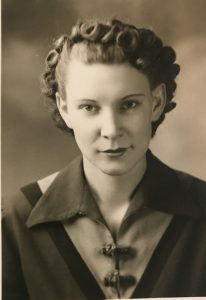 Then came Pearl Harbor and the war, and in 1942 she seized the opportunity for adventure and travel to take a job in Salt Lake City, working for Remington Arms making ammunition, particularly .50-caliber tracer rounds. That plant was put on standby in 1943, but word circulated that the government was looking for workers for a new defense plant located in the Eastern Washington desert, and Lucille signed up for that. Arriving in Richland, Washington in 1943, she found that it was not only a new government project, but a highly classified one. It wasn’t until 1945 that the rank and file workers found out that they had been manufacturing the plutonium that went into the first atomic bombs. While working on the Manhattan Project, she met the love of her life, Fred Butcher, who worked as a nuclear reactor operator. They were married in 1947, and had five children: Roberta (Brian Reed) , David, Brenda (Steve DeMerchant), Fred Jr., and Wendy. Fred and Lucille continued to live and work in Richland after the war, with Lucille taking several years off to raise her children before returning to work for Battelle. They both retired in the early 80’s and remained in Richland until Fred died in 2001. Lucille then moved to Seattle to be near her children, and has been in the area ever since. 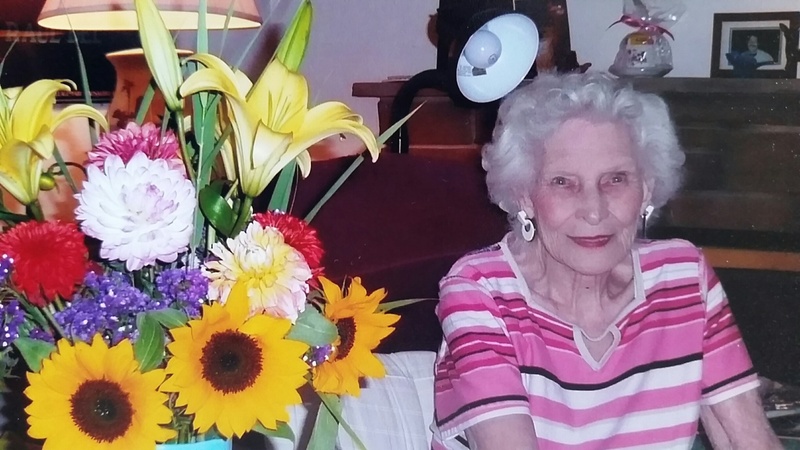 She enjoyed long walks with the family dog, annual trips to the Oregon coast, and gardening, especially roses. She will be remembered as a good cook and a great storyteller with a wonderful sense of humor. 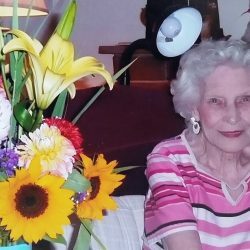 Last July, she celebrated her 100th birthday surrounded by family and friends. Lucille leaves her four surviving children as well as three Grandchildren Andrea Wilson, Matthew Reed and John DeMerchant. At Lucille’s request there was no funeral as she considered her 100th birthday party a celebration of her life. A private family memorial has been held.